The MLB Alumni Notebook takes a glimpse into notable performances from around the professional ranks throughout the season. Steve Bernhardt, Chief Baseball Officer for Baseball Factory, provides information on the Factory alumni. Pete has had a big first four Major League games, recording his first hit on Opening Day and smashing a three-run homer a projected 444 feet for his first big league round-tripper on April 1st. He’s collected seven hits in his first 17 at-bats (.412) with three doubles and six RBI. Jose was dominant in his first outing of 2019. Following up a 2018 All-Star season, the former Under Armour All-American got off to a great start, pitching 7 2/3 shutout innings against the Cleveland Indians on March 28th to get the win. He allowed only two hits and struck out 10. Leaving a no-hitter and being replaced for a reliever is a rare thing, but it happened to Hess on Monday as his pitch count rose to 82 after throwing 42 pitches on Opening Day. Hess breezed through the Blue Jays lineup on April 1st, throwing 6 1/3 no-hit innings and got the win, striking out eight as the O’s held on for a 6-5 victory over Toronto. Hess attended a Baseball Factory National Tryout in Nashville, TN back in August of 2009. Another RHP with an impressive first start of the season, Aaron allowed only one run and two hits over six innings, striking out eight Braves hitters in the 10-4 victory over Atlanta. As an amateur, Nola attended two Baseball Factory National Tryouts in his home state of Louisiana in Shreveport (2008) and New Orleans (2010). Finally getting time to show off what his bat can do at the major league level, Smith, Jr has started off hot with his new team. Through four games and hitting second in the lineup, he is hitting .375 with a double, two RBI and a stolen base. 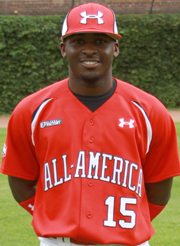 Smith Jr. performed well at the 2010 Under Armour All-America Game. The reigning National League MVP has started the season on fire. Christian is 7 for his first 17 with two doubles, four home runs, eight RBI, six walks and seven runs scored. 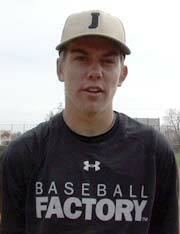 Yelich attended a Baseball Factory National Tryout in Azusa, CA in July of 2007.